The Becca collection by Jennifer Taylor Home is the perfect addition to any living space looking to add a bit of a traditional flair. The fabric selected for the collection features Polyester blends and engineered for long life. Our wood frames are made from kiln dried birch wood which provides exceptional support and stability. This unique design is accented with subtle hand tufts along the back. This settee brings class and lounging comfort to any room in the home. We offer a unique versatility in design and make use of a variety of trend inspired color palettes and textures. Our products bring new life to the classic American home. Crafted from birch wood, a deciduous hardwood that isn’t easily mottled or discolored overtime. It makes it ideal for furniture making as it is durable and doesn’t warp easily. 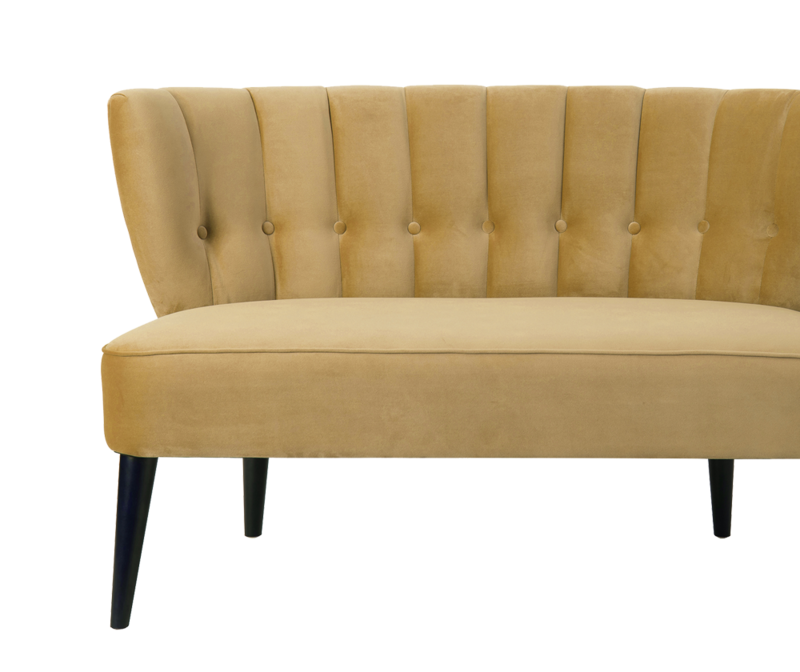 The Becca Tufted Channel Back will add a traditional flair to any living space. This charming settee features subtle hand tufts along the back giving it an elegant design. Make a statement in your home with this lovely settee. Wood frames made from kiln dried birch wood, this settee is sure to last. 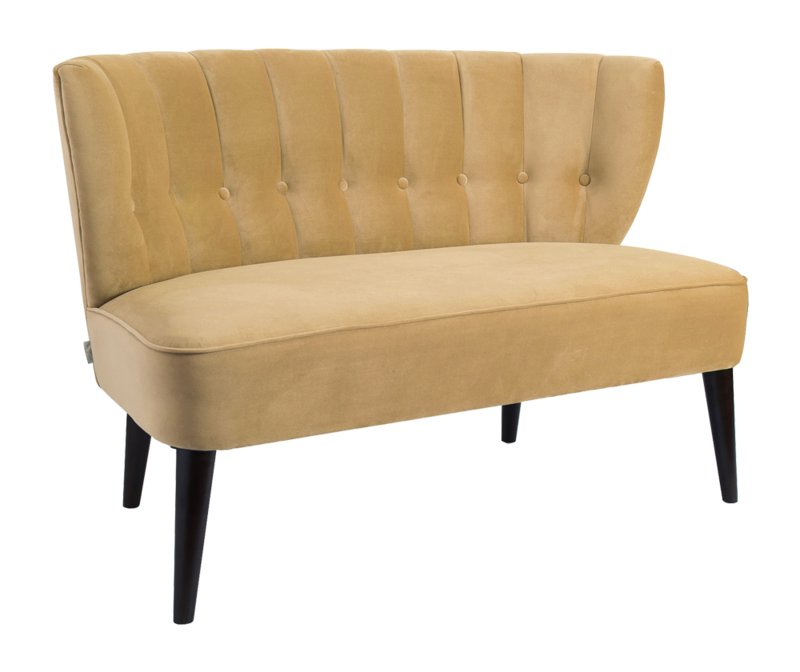 Just what you were looking for, this settee will add glamour to any space. Comes in a variety of nine beautiful colors to choose from. Love this sofa - I purchased 1 to act as a banquet seat in my kitchen sitting area. It was so comfortable and well received by family and friends, I purchased a 2nd for the other side of the table. This gave instant uniqueness to my kitchen. Sofa seat height matched the chairs perfectly. Absolutely love the hunter green color. It's so rich looking and exactly what I was looking for. It was super easy to put together - literally just the legs needed to be attached. I would give it 4.5 stars - exactly what I wanted, but not the most comfortable. More of a statement piece than an everyday functional piece. Super cute and comfortable! Love the color and the style! Fun pop of color to add into any room! Would definitely recommend in the future! Love it! Timely delivery and easy to assemble. Very beautiful, added some color to my living room. Portable, does not occupy too much space. The fabric feels very smooth and comfortable. Very solid and will made. I wish they had the same make for an arm chair. I got this piece for my sister's little apartment. It looks absolutely gorgeous! It looks elegant and very classy! I would recommend it to everybody!